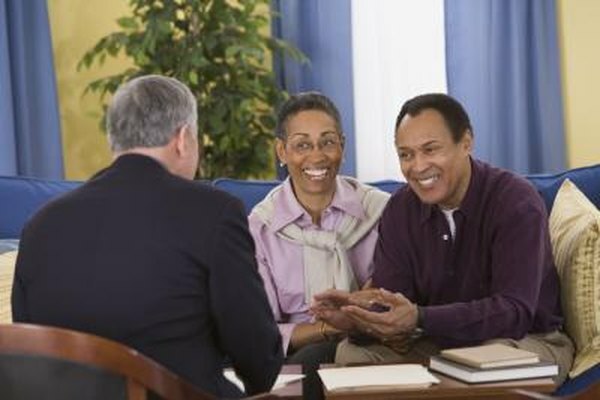 Check the insurance company ratings before committing to an annuity purchase. 1. Are Annuity Accounts Insured? 2. Are Variable Annuities Covered by SIPC? 3. Should You Spread Your Annuity Risk Over Several Insurers? You buy an immediate annuity to get a monthly income that you cannot outlive, and the peace of mind that comes with it. The safety of an annuity depends primarily on the strength of the insurance company sending out the checks. Your state has a guarantee fund to backstop your annuity payments, but that fund should not be a major factor in your annuity purchase decision. With an immediate annuity, you pay a lump sum amount to a life insurance company in exchange for guaranteed monthly payments. One payment option is for a lifetime income, and you will receive a check every month for as long as you live. The annuity payments are an obligation of the insurance company that sells you the annuity. Once the annuity has started, the payments cannot be changed by either you or the insurance company. To check on the safety of an insurance company, different agencies provide financial ratings on the companies in the industry. You can check ratings from agencies that include A.M. Best, which rates only insurance companies; Weiss Research, which covers financial and insurance companies; and Standard & Poor's, which rates many industries. For an annuity that could be making payments for many years, select a company with one of the top two ratings from a couple of the rating agencies. Every state has an insurance guarantee association that will cover policyholders if a life insurance company runs into financial problems. The association has limits on coverage for an annuity, with maximum payouts ranging from $100,000 to $300,000, depending on the state. If an annuity company goes bankrupt, annuity payments could stop for months until the guarantee fund works out how much will be paid to the policyholders. Insurance agents are not allowed to use the existence of the state guarantee association as a selling feature. From 1986 through 2011, 31 companies that sold annuities failed. Only 10 of those insolvencies came after 1995. Problems with insurance companies and junk bonds in the early 1990s resulted in state insurance regulators putting tighter capital requirement on insurance companies. Most of the companies that failed were smaller insurance companies with low or no ratings from the agencies. Because of the long-term nature of products such as annuities, regulators hold insurance companies to higher standards of investment and capital reserves. AnnuityNews.com: Annuity Company Ratings: Can You Count On Them? Advisor Perspectives: How Safe Are Annuities?